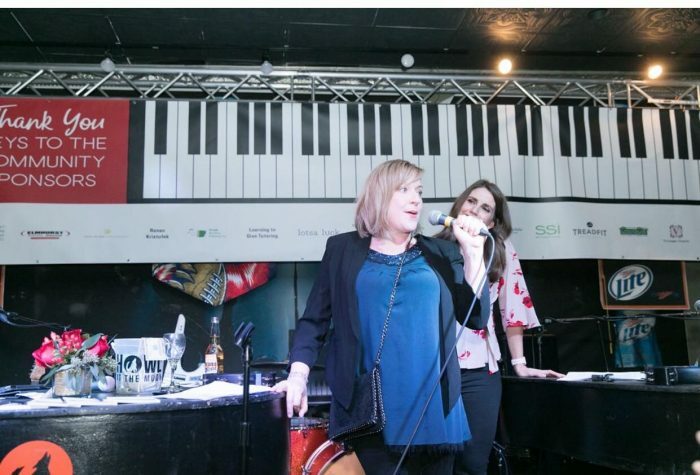 We were proud to perform at Fitz’s Spare Keys at a show to benefit the wonderful work of the Home2Home project. Jordan, Rachel, Jen & Wes performed for their huge Homecoming fundraiser and everyone involved had a great time. Huge thanks to the event planning committee for inviting Howl2GO to headline this terrific event! A huge amount of planning went into pulling off such a well-attended community event, and the work this amazing charity do to assist people in the locale is tremendous. We hope to repeat this event in future years. When you book Howl2GO for your event, we assist in the promotion through our social media channels. In addition, we offer the use of our logo and name to further help bring awareness to your event. Having Howl at the Moon on the poster almost certainly encourages people to come along! We don’t perform many public shows outside of our club venues, so bringing a Howl at the Moon ‘pop-up’ bar to your town is always a winning combination. Are you interested in a night out filled with music, food, fun, and bowling? Then you’re definitely going to want to check out Fitz’s Spare Keys. This fun entertainment center has it all—and is the perfect place for a night out with friends, a party or simply some bonding time with your spouse. Not only does Fitz’s Spare Keys have bowling lanes and live music, but it is also a lively pool hall. Sharpen your pool skills by yourself or play a few rounds with friends. If you are looking for something special to do with your buddies, make sure to check out the events that Fitz’s Spare Keys has lined up. Whether it be trivia night, swing dance lessons, jazz night or any of their other exciting events, you’ll be sure to have a blast. Swing by Fitz’s Spare Keys for a fun night out! Booking Howl2GO Dueling Pianos’ world class show to your Elmhurst, IL event couldn’t be simpler. 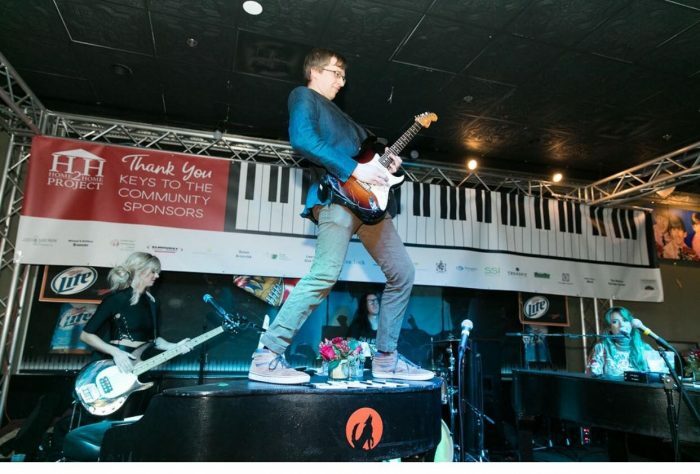 From conventions to corporate events, weddings to fundraisers, our unbeatable Dueling Piano shows bring a high energy, interactive show that your guests will remember for years to come anywhere in Illinois!